One month ago, roaming charges disappeared in the EU! No more extra fees for SMS, calls and data! Yay! Being involved personnally in the topic through work, I wanted to summarise what it exactly means in practice. Let’s take a young professional called Emilie, living in Belgium (just a random example!). She’s going to Rome for a few days. Will she pay for receiving a call in Rome though? Nope! She won’t pay anything if her desperate family calls her to check if her plane/taxi/bus didn’t crash. What about calling abroad from home? When she calls or texts her friend Alice in France from Belgium, her operator charges her for an international call. What happens if she spends more than what is included in the bundle? I’ve got an idea: Emilie should buy a SIM card in Romania! Cheaper than Belgium! If Emilie buys a SIM card in Romania and goes back to her daily exciting life in Belgium, after 4 months, the Romanian operator can ask her to justify why she is spending more time abroad then in Romania. This is not roaming! Emilie’s friend, Eeva, who lives in Finland will probably not be able to consume all of her data abroad. If Eeva has a contract with unlimited data or very cheap data, the mobile operator will provide a large, but not total, volume of data without any additional fees. From Your Europe:“The exact amount will depend on the price you pay for your mobile bundle. 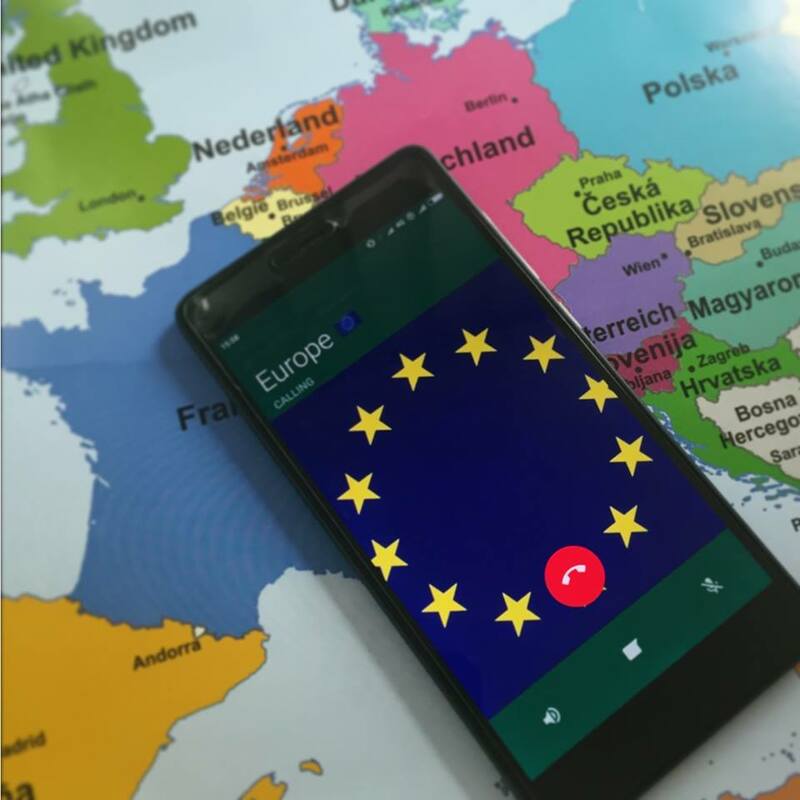 The roaming data volume must be at least twice the volume obtained by dividing the price of the mobile bundle (excluding VAT) by the wholesale data roaming cap (€7.70 in 2017). Example: Eeva pays €40 (excluding VAT) for her mobile bundle with unlimited calls. She will get least 10.3 GB of data (2x(€40/€7.70) =10.3). If she goes beyond this allowance, the surcharge will be the same as the one above. And what if Emilie was an Australian girl visiting Europe? This wouldn’t impact the prices Emilie would pay to her Australian operator. Does it work on a ship? Should you contact your operator? What about prepaid cards? Very good FAQ here!